Dans l'unité sur la population, nous avons étudié le fonctionnement d'une pyramide des âges et appris à analyser les particularités, les irrégularités et leurs significations sur la composition et l'évolution de la population. Après avoir étudié la méthode, les élèves de la classe 10 ont réalisé par groupe de deux, la description et l'analyse de la pyramide des âges du pays de leur choix. Year 10 students have been studying population demographics in order to analyse the current trends in population growth worldwide. By familiarising themselves with the statistics, models, and tools that geographers use to study these changes, students have gained an understanding of what happens when populations are too young, too old, and how a country may be impacted by either extreme. This assignment is an in depth study of China's "One Child Policy" that students completed to research one specific solution a country had to their own population problem. The Year 12s have been investigating the aspects of population that can have an impact on the development of a country. To do this they were put into groups and asked to investigate how gender equality and the issue of human trafficking can be addressed at different scales. Students in year 10 have been learning about how countries are affected by birth rates, death rates, and the average age of their population. Whether a country's population is growing rapidly or they face an ageing population, certain problems are created that governments must attend to. 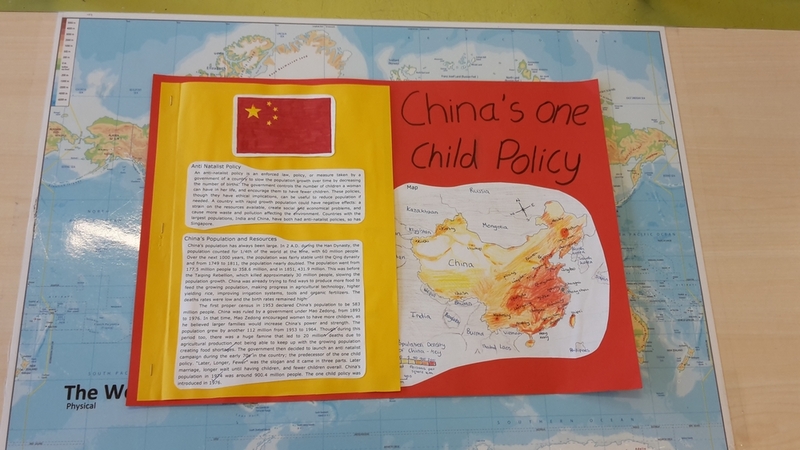 Students studied a specific country, the state of the population, and created posters to try to influence people within that country to have more or less children. Good job year 10! Year 10 have been learning about the importance of using data to learn about the past and to also predict the future. 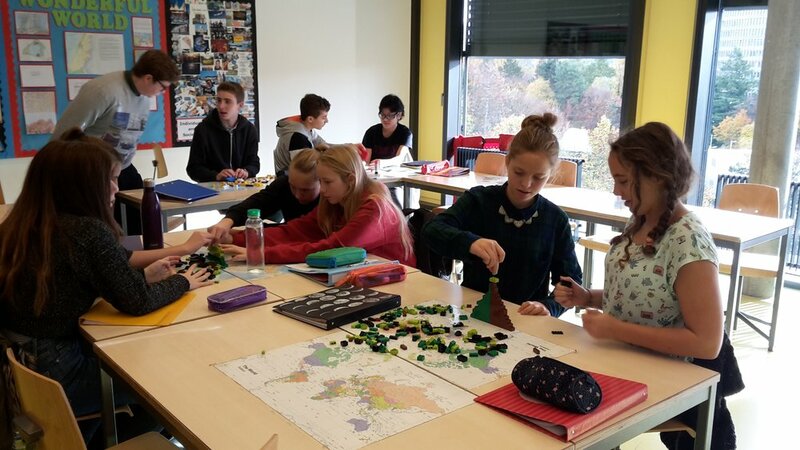 To do this they have explored how population pyramids can inform us of key times of conflict and to help plan for an ageing population in certain countries. 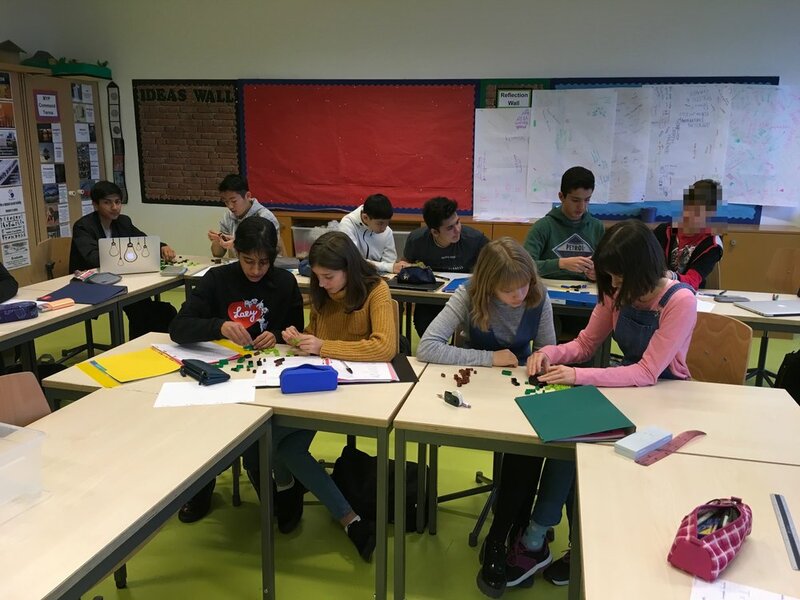 For students to understand how population pyramids are drawn students initially made lego model simulations of certain countries pyramids. Below is a gallery of photos showing the students at work. The Year 10s have explored the importance of using data as evidence of change within a population. To do this they have looked at different population structures within a range of countries. Students were then asked to make three population pyramids which reflected the population structure of Ethiopia, Morocco and Switzerland. Below are images of the students making the structures out of lego. To finish off the population unit students have explored why people migrate to different places and the impact that this has. The students were divided in to four teams to investigate the benefits and problems of migration on the country of origin and the host country using specific examples. They then collated their findings on google slides and presented to the group. Photos of the groups presenting and the slides can be found below. Students in Year 10 have been exploring the implications of a growing global population. For part of this they have investigated the implications of government policies that limit or encourage the amount of children people have. 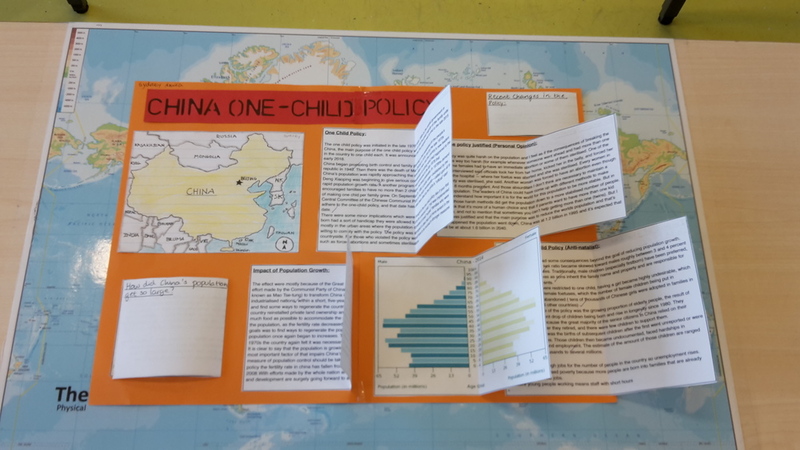 Students focused on China's one child policy to evaluate whether extreme policies are beneficial for countries and what the overall impact has been. They recorded their information in creative A3 poster boards. Please view the slide show for examples of student work. 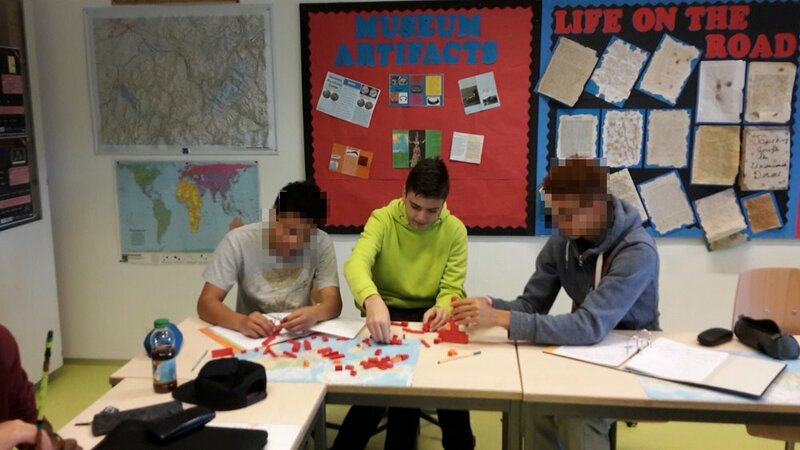 To liven up the lesson on a Friday afternoon the students created lego population pyramids to illustrate the population structure of various countries. We then used the pyramids to create questions on why changes or anomolies occurred.